This quote rings true for every coaching session. As coaches, we never know how each session will turn out as the agendas are set by the coachees, and not us coaches. Coachees desire to open up the treasure chests in their lives where those treasure chests represent the desired outcomes that they seek. Coachees often approach the matter with a pre-conceived idea of what they need to do to get to that desired outcome. In the treasure chest metaphor, it would be akin to them trying to open up the treasure chest with a particular key. However, that key may not be the right one to unlock the chest. Then, the coachee would need to identify another key to try.As a coach, my role is to help them find the key that will unlock that treasure chest. But not pick out the key for them. At the end of the day, it does not matter so much which key he used to open it. What matters to him is that he is able to open his treasure chest eventually. Read on to find out how Lynn unlocked her treasure chest by switching out one key for another. Lynn is stressed out about her work and personal life, and wanted me to coach her through this difficult period of her life. She owns a small business with 2 retail locations. However, the business is struggling. Her personal life is a little out of balance as well. After her divorce, she and her daughter had to move in with her parents. Her dependence on her parents has strained her relationship with them a little. Lynn feels helpless about her situation and is losing sleep over it as well. During our first meeting, I felt it would be beneficial for Lynn to complete the Wheel of Life as that would provide her with a big picture of her state of health in the important areas of her life. The exercise really helped Lynn identify the areas in which she is currently feeling dissatisfied. 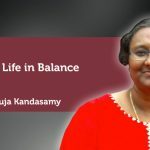 As she analysed her “results”, she realised that her dissatisfaction with her career is the lead cause of her strained relationship with her parents and friends, and her poor health. 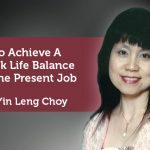 I asked Lynn which one area of her life she would first like to work on increasing her satisfaction level, and without hesitation, she said her career would be it. As to what she would like to see in her career, her ultimate goal is to have a successful business (making lots of money) and be recognised as an industry leader. In order for her to focus on building up her business, she first needs to have a good team in place – employees whom she can trust and rely on to provide good services so as to draw clients in. At this point in time, Lynn feels that she does not have a strong team whom she can rely on. Also, Lynn felt that she is not managing her employees well, and hence, wanted me to coach her towards being “ a good boss”. Firstly, I asked Lynn to clarify what she meant by “a good boss”. She shared that she is being too nice to her employees. Whenever her employees ask for unscheduled days off, she would approve their requests, even when her own schedule is being inconvenienced. Also, her employee at location A (let’s call her Amy) does not seem to respect Lynn at all and will be rude to her even in the presence of clients. Lynn confided that Amy had leverage in that the client base consists of Amy’s regulars; without Amy, Lynn’s traffic count at this location would drop drastically. During our session, Lynn would relate incident after incident of how Amy disrespected her. After each narrative, I would ask her how she would like to change the outcome. Each time, though, Lynn would struggle to come up with specifics that she is willing to take action on. When I asked what is keeping her from setting rules for Amy and being firm with her, Lynn would counter with excuses for Amy – she is unhappy at home, her family is needy, etc. Hence, Lynn felt that she should be more understanding towards Amy. Lynn recounted the one and only time when she had put Amy in her place – firmly but gently. Interestingly enough, Lynn noted that Amy was more respectful to her right after that incident. As she was relating the incident, Lynn realised that she can be firm without being mean about it. However, she felt she does not have it in her to be firm on a consistent basis and to enforce rules with Amy. From Lynn’s body language, I could sense that she was feeling stressed out and defeated about her relationship with Amy. She was countering with lots of excuses as to why she cannot manage Amy. I told Lynn that I am getting conflicting messages from her – on one hand, she wants Amy to respect her, but on the other hand, she is not willing to do what she thinks she should do to effect that change in behaviour. Then I asked Lynn point-blank “What do you really want to see in your business?” Lynn was silent and thoughtful for a minute. The answer she then uttered took both of us by surprise – she wants to focus on growing the business at location B and she would want to sell off location A (where Amy works) if she cannot get more walk-ins to the store. Her words had come out of the left field! It was like the elephant in the room, namely her relationship with Amy, had suddenly left the room. Lynn had, at that very point in time, decided that she wants to open her treasure chest (grow her business) by using another key (expanding location B), instead of working in vain to open the chest by using the key which had occupied her attention for the last few months (managing Amy in location A). There was a notable change in Lynn’s demeanor from that point onwards. It was as if a huge weight was lifted off her, as she now sees a plausible solution to her issue with Amy. She was visibly more energised and she started to share her vision for location B. She felt location B had a lot of potential, and as she had started that location from scratch, it was her “baby”. And building it up to be a successful store would provide her with a great sense of achievement. Lynn felt a renewed sense of energy as she enthusiastically laid out the steps she would be taking in the following weeks to come to an appropriate decision about location A. It was amazing to see the change in Lynn’s outlook just from her decision to focus on the positives of her business rather than the issues that are dragging her down. I agreed to hold Lynn accountable for her action plan in our successive sessions. It is important to build Trust – Lynn was able to share deeply and freely with me because she could trust me to listen well to her without being judgemental. As a result, I was able to pose challenging questions to Lynn, which prompt her to think deeply about what she really wants. Active Listening and Powerful Questioning work in tandem – by being present with the coachee, and listening actively to what she was saying, I was able to ask powerful questions that evoke strong responses from her. I learned that I needed to go with the flow and let the client lead the agenda. Be prepared for a totally unexpected outcome – asking the “right” question can bring on that Eureka! moment, that presents a resolution to the coachee’s issue in an unexpected way. When that happens, the coachee feels really empowered as she had come up with that solution herself. With the empowerment, she is more likely to hash out an action plan that she can commit to. In this case, it was directing Lynn to focus on the treasure chest, instead of that key that turned out to not be the right one to open up the chest. The one thing I felt I could do better is to be more less concerned about asking the right questions. A handful of times during our conversation, I was trying to come up with the “perfect question” to ask Lynn. And that took my focus away from the conversation a little. This is something I need to keep in mind as I continue on my coaching journey.